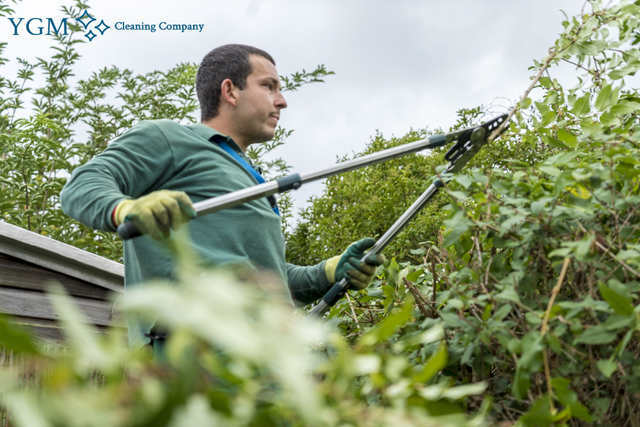 Gardeners & Tree Surgery Hulme M15 | YGM Cleaning Company Ltd.
You can utilize expert help with the lawn mowing and getting your backyard into good condition once again? Look no further! 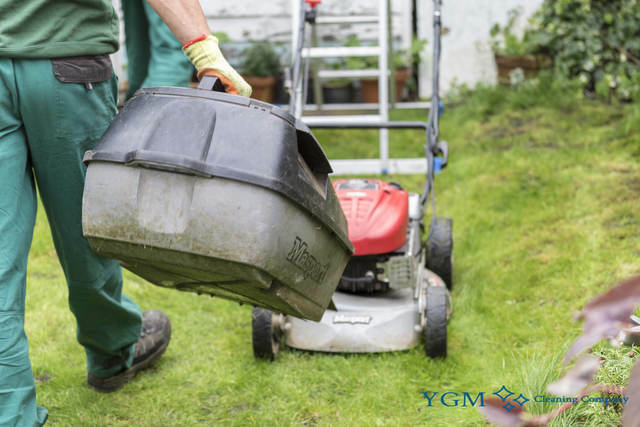 YGM Cleaning Company Ltd. is here to provide you with all necessary professional gardening services in Hulme M15 and outdoor maintenance help, which you may need. You can easily receive a quick and free offer for the gardening services you need, just by calling 0161 823 0323 or completing the online form. In case you order one or more gardening service, such as lawn mowing, tree pruning for the trees, leaf clearance and patio jet washing, for example, you'll get great discount! You can ask for an onsite visit for a landlord or a tenant by a profession to help make an exact estimation of the time and price for the services. Request an offer or request an onsite visit by a professional gardener to assess the situation of your outdoor space, and to recommend the best services which can be provided to improve its condition and appearance, and also the expected price for the services. Call up the 24/7 customer care line on 0161 823 0323 or submit the brief online form now, and you are certain to get the price and some other details you require at the moment! YGM Cleaning Company Ltd. gives professional gardening service to residents and businesses in Hulme and the entire area. All of its gardeners are experienced, very thoroughly trained, fully vetted, checked, can be trusted and are insured. The gardening services provided for the gardens include: lawn scarification, lawn repair, autumn and spring lawn care, lawn aeration, lawn feeding for healthier plants, garden maintenance, patio and driveway jet washing, garden clearance, tree care and surgery, weeding and other services focused at making your outdoor space look well maintained, better and a favored space for spending more hours with the family. The company offers premium quality lawn care and lawn mowing to all customers in the area. The experienced gardeners for sure will examine your lawn and will give you their informed opinion of what exactly must be carried out, so as to enhance its appearance and health. The maintenance and mowing is completed with the latest mowers, lawn aerators, trimmers, rakes, weed killing gardening tools and many others. Apart from shaping and mowing your lawn perfectly, the professional gardeners can fix any yellow or otherwise damaged patches. The professional lawn care services offered involve: mowing, grass trimming, lawn edging, lawn aeration, autumn and spring lawn care, scarification and feeding for healthier plants. The company delivers garden maintenance, autumn and spring lawn care, lawn repair, lawn scarification, lawn aeration, overgrown lawn feeding, and ivy removal, landscaping, maintenance, tree surgery for your trees, garden clearance, jet washing and weeding, among all other top quality gardening services. The additional gardening services in in Hulme M15 that are provided involve: tree surgery performed by qualified and high knowledgeable trees surgeons, jet washing of driveways, patios and garden furniture as well as professional landscaping services or garden design. All of the gardening services are with a guaranteed quality and are totally insured. Once again, if you are trying to find one of the most reliable professional gardening services at affordable prices in Hulme, you should book your preferred service right now! The company offers a variety of garden maintenance services of the finest quality in addition to lawn mowing and care. Many of them include: weeding, garden clearance, care for neglected gardens, ivy removal as well as other professional gardening services, that can help to make your garden far too excellent, and keeping it perfect for a longer period. You may ask for an onsite visit if you are not specifically sure what type of gardening expert services you need to have, or how many hrs of the gardening services in Hulme M15 you need to book. Use the internet contact form here, or call the 24/7 phone number 0161 823 0323 to contact the customer care service for professional gardeners right now! Order a combination of gardening or outdoor maintenance services and you will get a mighty discount. If you become a regular client, you will be given preferential cleaning! Call now, book now and get ready to get the patio or garden of your dreams! Other services we offer in Hulme M15 Oven Cleaning Hulme, Carpet Cleaning Hulme, Upholstery Cleaning Hulme.